Number Line for doing Sums. 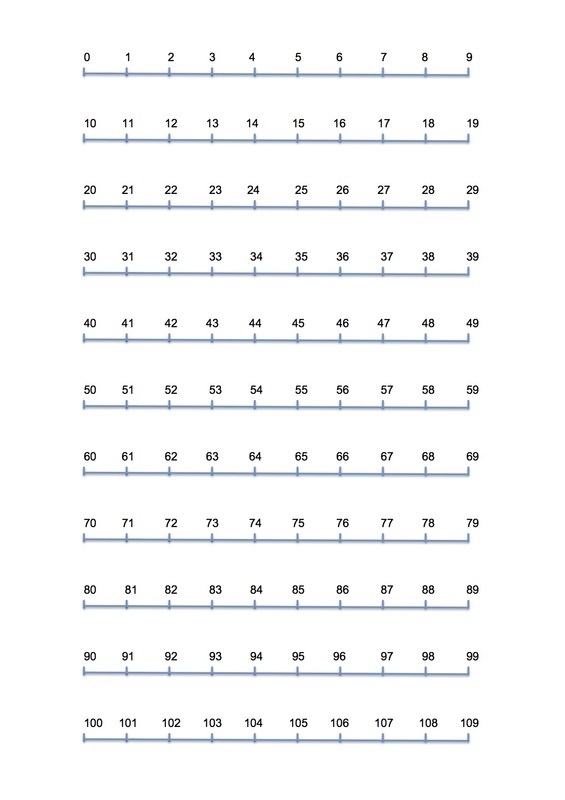 I created this number line template for my son when he was learning to do subtraction sums at school. 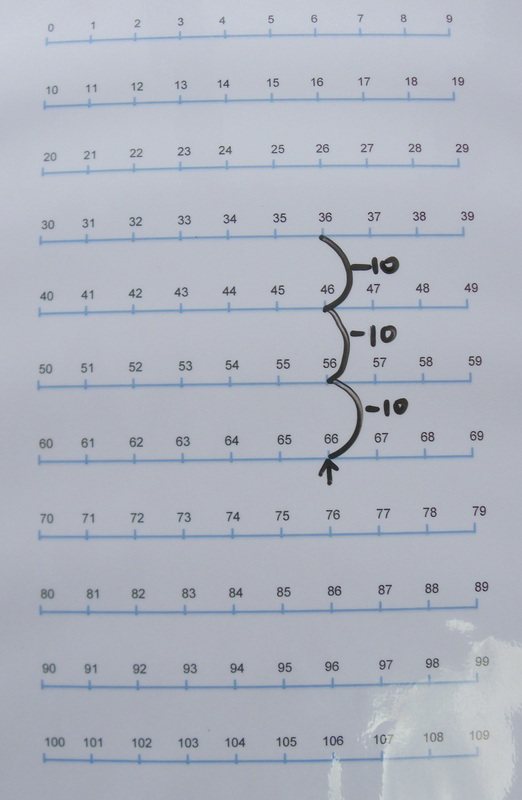 To print out the number line, click on the jpg template image (right) to open up a larger window. Save the template to your computer and print it out. The template is A4 paper size. Open the word document version (below right) and print the template. 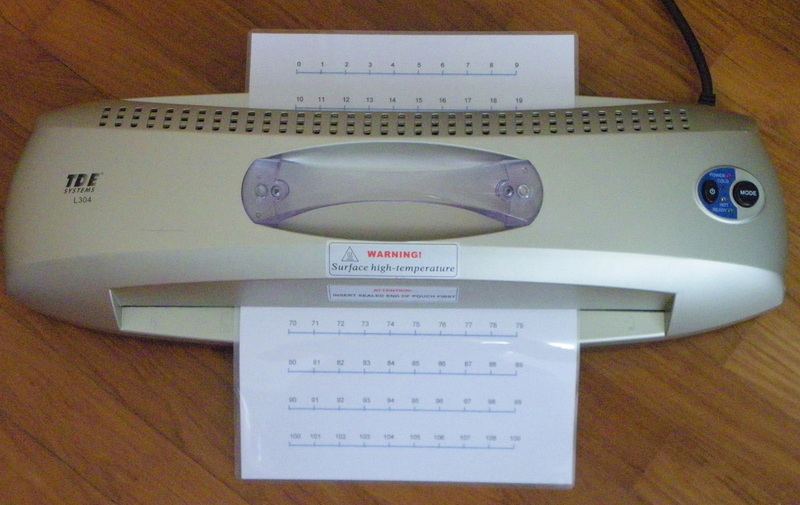 It can be helpful to laminate the number line. Then you can use it with white-board markers or liquid chalk markers, and wipe the working off to re-use. 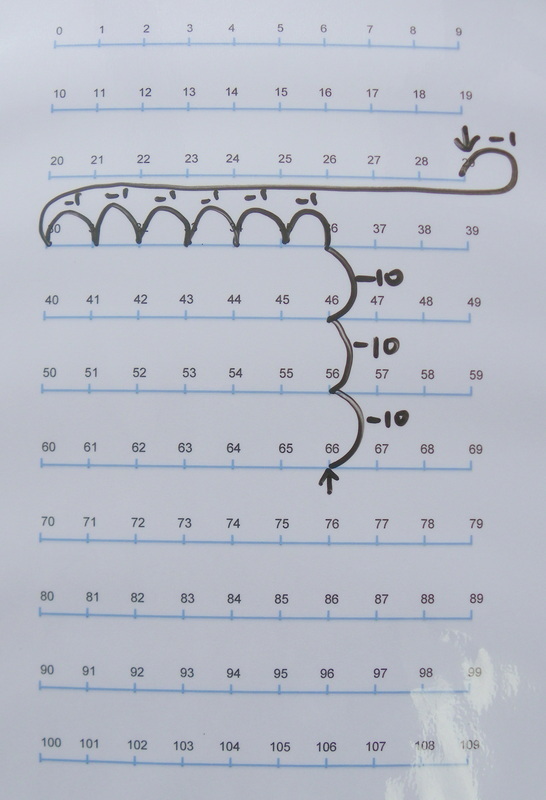 A number line can be used to help visualise a sum as you work it out. There are different ways to use the number line, and the way you use it also changes as the student advances, I'm demonstrating below just one of the ways in which you can use a number line. The starting number is 66, so you find that number on the number line. You need to take away 37, which is made of three lots of 10 and seven lots of 1. Then you need to take away the seven lots of one (see diagram on right). In this example you have to carry onto the line above as you do this. Then you have arrived at your answer, which in this case is 29.